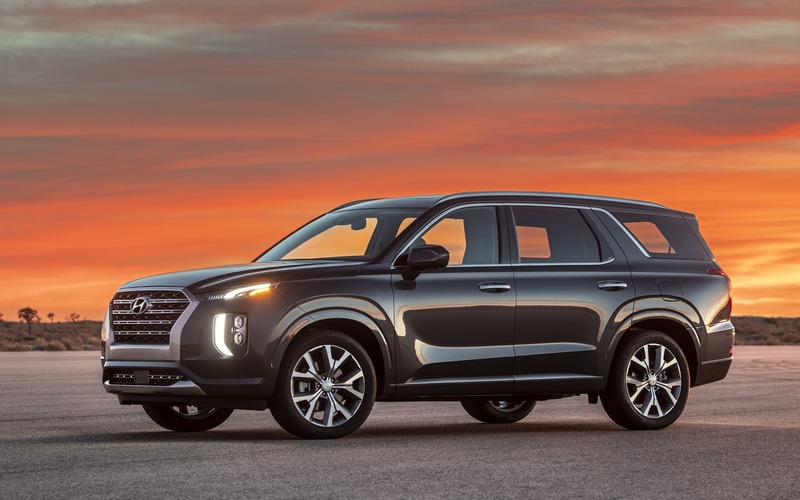 The Car GuideAuto ShowsLos Angeles2020 Hyundai Palisade: This is It! 2020 Hyundai Palisade: This is It! A few weeks ago, Hyundai had teased us with an all-new eight-passenger SUV scheduled for this year’s L.A. Auto Show. We were promised a luxurious and spacious family hauler, with a name inspired from a California cliff. It’s finally here. With the new Hyundai Santa Fe only having five seats, the carmaker needed a replacement to its aging seven-passenger Santa Fe XL. Inevitably, that’s what the Palisade is here to do, and will mainly rival vehicles like the Ford Explorer, Honda Pilot, Nissan Pathfinder, Toyota Highlander and Mazda CX-9, just to name a few. The Palisade will get its own bespoke drivetrain. Hyundai speaks of an all-new, 3.8-litre V6 good for 291 horsepower and 262 lb.-ft. of torque. An eight-speed automatic gearbox will take care of getting power to ground either through front- or all-wheel drive, depending on trim levels. The most interesting thing here is that even though the Palisade (4980 mm) is shorter almost all three-row midsize SUVs, cargo space exceeds those of the Explorer and Highlander, with 1296 litres of available room behind the second row of seats. Furthermore, Hyundai says second-row legroom is of 1076 mm, more than in the Highlander, Pilot, Pathfinder and Explorer. Other than dimensions, Hyundai speaks of a “Driver Talk” system, similar to the one found in the Honda Pilot, which allows the driver to speak with rear passengers through the car’s sound system. There’s even a “sleep” mode, which turns off the rear speakers in the event that the passengers are sleeping, allowing the front passengers to continue listening to music. Nothing has yet been unveiled about the vehicle’s release date, pricing or towing capacity, but we’ll be in Korea in a few weeks to drive it, so stay tuned for all the details.